Jason Foster, chief investigative counsel to the Senate Judiciary Committee, fits a classic Washington profile: A powerful, mostly unknown force at the center of some of the most consequential battles on Capitol Hill. 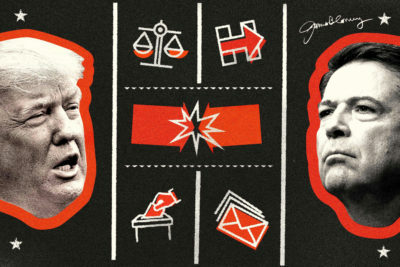 With Foster in charge of his oversight work, Grassley has openly speculated about whether former FBI director James Comey leaked classified information as Comey raised alarms about President Donald Trump’s possible interference in the Russia probe. Grassley and the other Republicans on the committee have questioned the impartiality of a former member of Mueller’s team, cast doubt on the credibility of the FBI’s secret court application for permission to surveil a Trump campaign associate and called for a second special counsel to investigate matters related to Hillary Clinton. A firm that conducted opposition research on Trump has made clear in court it believes Grassley’s committee, with Foster as its lead investigator, had leaked sensitive information about its business. 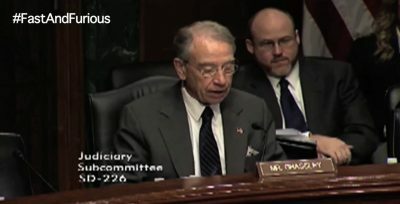 Most recently, many of those interviewed by ProPublica said, Foster engineered Grassley’s highly unusual public announcement asking federal authorities to consider criminal charges against Christopher Steele, the ex-British spy who compiled the dossier warning of possible collusion between the Trump campaign and the Kremlin. 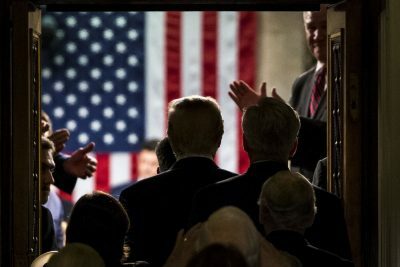 For Foster’s critics, and they include Republicans as well as Democrats, his provocative work on the Trump-Russia investigation is just the latest chapter in the career of a partisan combatant willing to discard norms and indulge in conspiratorial thinking as he pursues investigations favorable to Republicans. Foster — who cut his teeth on Capitol Hill working on the staff of former Rep. Dan Burton, R-Ind., who fueled the theory of foul play in a Clinton aide’s suicide and called for required AIDS testing for all Americans — drew the ire of many for his role in various Judiciary Committee investigations of the Obama administration. “That’s the way it seemed to go every time with Jason, conspiracy to the point it was ridiculous,” said one Democratic aide who had dealt with Foster. The aide was one of several interviewed by ProPublica, Democrat and Republican, who would not be identified because they were not authorized to speak publicly about the inner workings of Congress. Foster’s career, including his work on the committee’s Russia investigation, has caught the attention of the Trump administration. Foster has twice been approached about a possible job, an inspector general role, with the administration, a situation that some say should have required his recusal from work on the collusion inquiry. Foster, 46, would not respond to questions about his work on the committee, and Grassley’s office said its policy was not to comment on specific claims about individual staffers. But the office offered a broad defense of both Foster and what it regards as the committee’s efforts to aggressively investigate the FBI’s handling of the Trump-Russia probe. The office said Grassley has moved to examine potential misdeeds by Trump and his campaign and would be willing to do so even more vigorously if Democrats would agree to investigate the Obama administration, Hillary Clinton and the firm that produced the Trump-Russia dossier. Foster has admirers beyond his own office. Some of those interviewed by ProPublica, including several suggested by Foster himself, describe him as a fierce and detail-oriented investigator who is protective of whistleblowers who come to the committee looking to tell their stories. His tough approach with the FBI, they said, long predated the Trump-Russia investigation and he has been willing to take on Republican administrations. In examining Foster’s role in the committee’s Trump-Russia investigation, ProPublica discovered that a decade ago he had written an anonymous blog, using the handle “extremist.” The posts by Foster, who was then working for Grassley on the Senate Finance Committee, made clear he was some sort of D.C. insider, and he came across as a knowing observer as the country navigated the thorny political fights of the Bush and Obama eras. But there were also plenty of times “extremist” lived up to his chosen name. He even mused about whether Sen. Joseph McCarthy, condemned as a demagogue for his 1950s anti-Communist crusade, should be remembered more kindly. Taylor Foy, a spokesman for Grassley, said the office had no prior knowledge of the blog, but that the beliefs expressed by “extremist” were “not relevant” to Foster’s professional work. None of those ProPublica spoke to about Foster, admirers or critics, were aware of his blogging. Some, upon learning of his posts, said they were completely at odds with the public servant they knew. Others, however, said they were disturbed, but not entirely surprised by his words, given his recent work. Foster attended Georgetown Law School, and immediately after finishing went to work on Capitol Hill. He started as a legislative assistant in the House of Representatives, but was quickly tapped to work on Burton’s Oversight and Government Reform Committee. The Indiana congressman was known for outlandish beliefs: He frequently pushed the theory that vaccines cause autism and was said to avoid soup in restaurants for fear of contracting HIV. Foster eventually joined Grassley’s staff in 2005, when Grassley was the top Republican on the Senate Finance Committee. Grassley’s office had developed a reputation for a willingness to conduct exacting oversight of both parties. And Foster’s team, by all accounts, found common ground with Democratic staffers. But during those years, Foster privately expressed intensely partisan and controversial beliefs on his blog, which he maintained from 2005 to 2009. He initially took the name “extremist,” an alias he described to his readers as a tongue-in-cheek joke, then later discarded it and wrote under his first name. While examining Foster’s record on the Hill, ProPublica discovered the blog by conducting web searches for various usernames Foster had employed online. Its contents were publicly accessible. Of Joe McCarthy, he opined that history’s condemnation of the disgraced Wisconsin politician may have been too harsh, suggesting his excesses were less of a problem than the Communist threat he was fighting. Foster said that in certain instances, concerning harsh comments on Islam, he had been quoting others and merely wondering about the implications if such ideas were true. It’s impossible to determine how large a following the blog had. Comments on the posts make it clear Foster had fans as well as detractors, some of whom challenged him on his more controversial ideas. “In my dealings with him on this case, not only was there no evidence of discrimination, he was the driving force to defend him on the Hill,” Kohn said of Foster’s support for his client. Foster had set aside the blog by the time he went to work on the Senate Judiciary Committee in 2011, when Grassley traded in his leadership role on the Finance Committee to become the top Republican on the panel. Judiciary Committee investigators such as Foster enjoy broad authority to probe the Justice Department and its various components, such as the FBI and the Drug Enforcement Administration. Initial leads for investigations can come from whistleblowers or news reports. Investigators have the power to demand agencies turn over documents, to subpoena witnesses who don’t cooperate or cite them for contempt. Ultimately, they chronicle their findings in public reports, refer their targets for criminal prosecution or shape legislative reforms meant to address problems they discover. Foster was credited for his commitment to protecting whistleblowers. Peter Forcelli, who had been a supervisor in the Phoenix field office of the Bureau of Alcohol, Tobacco, Firearms and Explosives, described being “radioactive” at work after he testified before Congress about problems with the agency’s “Fast and Furious” operation. Foster led the congressional probe into the Obama-era scandal, in which federal authorities lost track of hundreds of firearms, including two found at the scene of a shootout that killed a Border Patrol agent. “Jason kept his word throughout the entire time. When I had problems, they were very responsive in keeping me protected,” said Forcelli, who now heads up the agency’s Miami field office. But Foster’s investigation, done in conjunction with Rep. Darrell Issa’s staff in the House, was also marred by leaks of sensitive law enforcement information and allegations of partisan mischief directed at both Grassley and Issa. The probe seemed to generate outlandish accusations, unsubstantiated by evidence but aired publicly. One theory was that the Obama administration had somehow purposely sabotaged the Fast and Furious program to win support for tougher gun control restrictions. Former aides recall that soon after Foster shared such suspicions privately, his boss began raising them publicly, even though the committee had found no proof of the claim. Foy, Grassley’s spokesman, denied being responsible for leaks about the Fast and Furious inquiry and defended the office’s practice of airing allegations publicly. Following Trump’s inauguration, Grassley, as the judiciary chairman, found himself and his staff at the center of a series of explosive events. The FBI was investigating potential links between the Kremlin and the Trump campaign. Attorney General Jeff Sessions had been an adviser for that campaign, and recused himself from overseeing the FBI’s investigation. Then FBI director James Comey was fired, raising questions of whether the president was attempting to obstruct the Russia probe. Some held out hope that as complicated and fraught as the issues were, the Judiciary Committee might be able to conduct a bipartisan investigation. But as Mueller’s team has brought charges against 19 people, including former Trump campaign officials, and the president has pushed back with claims of a “witch hunt” and made repeated attacks on the FBI, Democrats have accused Grassley’s office of helping to muddy the waters. Danielle Brian, director of the Project on Government Oversight, a good government group that has worked closely with Grassley’s office, said she was initially optimistic because Grassley and Foster had shown a willingness to take on the White House. 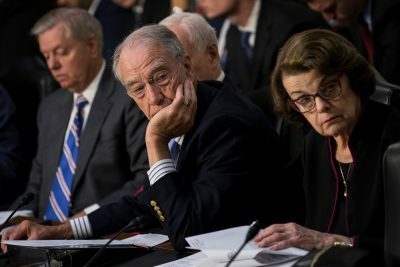 But Brian and others have been baffled by what has happened in the months since – by the open hostility between the committee’s two sides, the unusual criminal referral, the seemingly disproportionate scrutiny Grassley and Foster have been applying to those involved in the investigation of Trump and his team. In addition to questioning Comey’s handling of classified material and calling for another investigation of matters related to Hillary Clinton, Grassley’s office took aim at Fusion GPS, the firm that commissioned what became known as the Trump-Russia dossier. Grassley asked whether the firm had violated the law by not registering as a foreign agent for work it did on another case. Grassley and Foster also brought Glenn Simpson, the firm’s co-founder, in for a confidential interview. In that August interview with Foster and other judiciary staffers, Simpson confirmed the identity of his company’s bank. The information was sensitive because the firm’s bank records, if successfully subpoenaed, could reveal clients who are promised confidentiality. In October, the House Intelligence Committee subpoenaed the bank for Fusion’s records. Fusion fought the requests in court, suggesting to the judge that someone on Grassley’s committee provided information to the House committee “in order to circumvent the rules.” The Senate panel cannot issue subpoenas without bipartisan support, but the House committee can. One of the people in court to watch the proceedings was Foster. Democratic frustration with Grassley boiled over when he and Sen. Lindsey Graham, R-S.C., produced the public criminal referral against Steele. A former Republican congressional aide said it was particularly puzzling that the referral was made publicly because if charges were filed, it may have appeared as though the DOJ caved to political pressure. The criminal referral appeared to be the last straw for the committee’s top Democrat. Sen. Dianne Feinstein of California, who said she wasn’t consulted beforehand and called it “another effort to deflect attention.” A few days later, she released the committee’s confidential Fusion interview transcript, a move she made without Grassley’s permission and that further inflamed partisan distrust on the committee. Feinstein said the disclosure would dispel the “innuendo and misinformation” being circulated by Republicans seeking to deflect attention from the committee’s look at Trump and his campaign. Several current and former legislative aides noted that, in an earlier statement, Feinstein seemed to indicate it wasn’t Grassley who she considered primarily responsible for the growing divide. She blamed “staff” for trying to shift the focus of the committee’s work to Hillary Clinton and the Obama administration. In a lengthy series of written responses to ProPublica’s questions, Foy, Grassley’s spokesman, denied that Foster or the chairman’s other staffers had placed the interests of the president over an independent investigation. The Democrats, Foy said, were the ones playing politics. 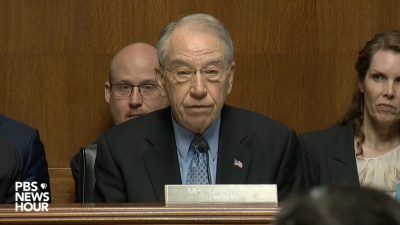 Foy said there were attempts by Grassley’s office “to be good faith partners to work together to ask hard questions of both sides.” Grassley, Foy said, had supported information requests related to the Trump camp, helping to secure thousands of pages of documents from the Trump campaign, companies and presidential transition. Grassley’s office also pointed to its work to get interviews with Donald Trump Jr., along with others present at the now infamous 2016 Trump Tower meeting involving Trump’s family members, campaign officials and Russians allegedly looking to provide dirt on Hillary Clinton. The failure to interview Manafort is considered one of the committee’s most significant errors. Feinstein would not be interviewed for this article, and her spokesman would not comment on Foster, his role on the committee or his blog. The office repeated Feinstein’s insistence that the committee’s mandate was to investigate Russian interference in an American election, and the president’s possible role in obstructing the criminal inquiry into the nature of that interference. “As a rule, Judiciary Committee Democrats have made their investigative decisions based on an objective review of facts,” said Tom Mentzer, a spokesman for Feinstein. Kris Kolesnik, a former top adviser to Grassley, was asked years ago to help train young aides arriving on Capitol Hill on how to conduct fair investigations. In a recent column about the experience, Kolesnik recounted the advice he gave. “Construct a wall between campaigning and governing. In a campaign, you can knock yourself out playing politics. But once you’re in government, you can only go as far in successful oversight as your credibility takes you,” Kolesnik wrote. The column went on to lament how battered that notion has become. Kolesnik blamed his own party, accusing Republicans of standing in the way of the truth for political gain. According to Foy, Grassley’s spokesman, Foster was “encouraged by others” last year to consider an inspector general position in the Trump administration. After he interviewed with the independent body that vets candidates, Foster learned the panel recommended him to the White House Counsel’s office. Foster solicited advice about continuing the process, but declined to pursue it further in September. Then, in November, he was again encouraged to consider an inspector general post, mulled it over, but ultimately declined in December. Foy said Foster notified Grassley of the job possibility, and pledged to recuse himself from White House matters if he consented to go through the full White House vetting process, rather than waiting until a formal offer had been made, as required by Senate ethics rules. Still, during the period that Foster was considering an executive branch appointment, the committee’s inquiries relating to the Russia investigations were in full swing and Democrats were growing increasingly frustrated with what they perceived as stalling by Grassley’s office. Congressional experts from left- and right-leaning organizations countered that taking part in a sensitive investigation relating to a sitting president while under consideration for a job in that president’s administration creates the appearance of a conflict even if it’s not a violation of ethics rules. Foster’s deliberations about a job with the administration, they said, should have been disclosed to ethics officials and the rest of the committee, and likely required his recusal. “Frankly on its face, this is unethical behavior,” said Norman Ornstein, who helped create the House’s ethics watchdog agency and is now a scholar at the conservative American Enterprise Institute. Experts were also concerned that Foster was being considered for an inspector general role considering the beliefs he expressed on his blog. Stephen Street, president of the Association of Inspectors General, speaking generally, said bigoted views should be disqualifying.